From ocean breezes and lakefront views to mountain and valley adventures, Georgia is a destination filled with natural beauty and wonder. The north is your place to stay if you’re looking to hike the Appalachians and marvel in the wooded landscape, but if you are more interested in the sun, sand, and surf, head to the coast where the Atlantic laps upon Georgia’s shores. No matter your reason to escape, these top Georgia vacation’s will provide comfortable and contemporary lodging to fit your needs. So, pack your bags and head to Georgia. You’ll find exactly what you’re looking for. Real Escapes Properties' collection of St. Simons Island rentals is unmatched in quality- and it's the perfect place to ESCAPE to! The constant hustle and bustle of day-to-day life can certainly take a toll- sometimes what you need is an escape to somewhere you can let loose, relax, and put your mind at ease. Real Escape Properties is an ideal place to do exactly that. Among their plethora of properties you will find cozy cottages, luxury homes, stunning condos and more - all of which are located on gorgeous St. Simons Island, Georgia. First-class service is a given, and you can expect tip-top hospitality from start to finish from their friendly staff. As beautiful as the properties are, however, you're just (if not more) likely to fall in love with St Simons Island itself. The pristine beaches can be enjoyed in numerous ways, from kayaking along the shoreline to beach volleyball. Whatever the occasion, we're sure that a stay in a Real Escapes Property will be one you'll never forget! Featuring an inventory of more than 400 vacation rentals and condominiums, Hodnett Cooper makes your dream vacation a reality! These luxury lodgings dot Georgia's breathtaking coast on the stunning shores of St. Simons Island. Slip on your flip flops and bask in the long stretches of oceanfront beach, miles of bicycle trails, fantastic fishing, and much more. If you'd like to soak up some local history, stop by attractions like Christ Church, Fort Frederica, and the island's lighthouse. After a day of exploration, indulge in relaxation back on the property. Choose from a variety of oceanfront stays for every type of traveler. For a grand get-together, the Shiphouse 5 accommodates up to 30 guests and features an array of amenities. Surf the web with wireless internet, fire up the gas grill for a family picnic, or take a dip in a private pool. Smaller stays accommodate more intimate trips with Jacuzzi tubs, flat-screen televisions, and more. Come claim your Georgia getaway at Hodnett Cooper! Fort Frederica, now Fort Frederica National Monument, was the military headquarters of the Province of Georgia during the early colonial period, and served as a buffer against Spanish incursion from Florida. St. Simons Island Light is a lighthouse is just a stone's throw away. It is 104 feet tall and uses a third-order fresnel lens which rotates to flash a beam of light every 60 seconds. Located in downtown Atlanta, and only a short walk to all the fun and excitement of the city is the Sheraton Atlanta Hotel. While staying at the Sheraton Atlanta, there’s something for everyone to explore. Only minutes from the hotel is the Georgia Aquarium, where you’ll encounter sea monster, dolphin shows, and friendly penguins. Phillips Arena is just around the corner for an evening of entertainment that cannot be beat. Catch a Braves’ game at Turner Field, or head to the Atlanta Botanical Gardens to find native and exotic flora. After exploring the city, Sheraton Atlanta Hotel has clean, crisp, and artful guestrooms and suites that radiate a contemporary atmosphere. Each room displays modern art that compliments the boutique-style service making your stay both chic and comfortable. If you’re looking for some relaxation outside of your room, lounge in the Savannah-style garden courtyard or take a dip in one of the two pools. When it’s time to grab a bite to eat, Fandangles Restaurant & Bar has fresh local favorites that cannot be beat. Each guestroom and suite at Sheraton Atlanta Hotel includes sweet sleeper bedding, a 32" LCD TV, a work desk, in room dining, cotton bathrobes, and more! Sheraton Atlanta Hotel has pet friendly accommodations as well as a 24-hour fitness center and 90,000-square-foot event space. Westin Jekyll Island is located on a beautiful stretch of Georgia's coastline and offers to its guests direct Jekyll Island beach access! Indulge in stunning views of the Atlantic Ocean, from the comfort of your private balcony. All rooms have lavish amenities and will make you feel on top of the world. You can bring your four-legged best friend along to the adventure because their beach is dog-friendly. Take a stroll down the shoreline and sink your toes into the sand. Lounge under and umbrella and take in the view! During the fall, plants that make up the marshland turn a gold color, hence the term "Golden Isles." Another interesting fact is that Georgia shrimp are born in the marshlands, and without them, the shrimp population would not exist. Set in the middle of the Georgia Veteran’s Memorial State Park and along the shore of Lake Blackshear is Lake Blackshear Resort & Golf Club. Lake Blackshear Resort has the perfect accommodation to fit your stay with comfortable and rustic guestrooms, villas, and lakeside cabins all featuring gorgeous views of Lake Blackshear and modern amenities. The resort also has several delicious dining options including Cypress Grill, Cordelia’s, and the Lakeside Bar. Lake Blackshear Resort and Golf Club has a wide array of outdoor adventure to explore. The Georgia Veteran’s Memorial Golf Course is a favorite activity spanning along the shore of Lake Blackshear. The Marina has everything you need to take advantage of the lake’s wealth. Pontoon, fishing and ski boats are all available for rental, and the lake is full of fish to catch. Lake Blackshear Resort is a great place for avid hunters with quail, turkey, and deer hunting. The Georgia Veteran's Memorial State Park features a museum with aircraft, armored vehicles, uniforms, weapons, medals, and items from the Revolutionary through Gulf Wars. The staff at Lake Blackshear Resort & Golf Club is ready to help create the wedding of your dreams. Expect assistance in location and decor decisions, choosing a photographer and florist, catering, guest accommodations and activities, and more. A Victorian Romanesque mansion where onyx and Verona marble and a striking Lalique chandelier welcome your stay is at the beautiful Mansion on Forsyth Park. The Mansion at Forsyth Park exudes heightened taste. Over 400 original pieces of art call the mansion home as well as plush Versace furniture. Classic elegance meets modern chic in each guestroom and suite where oversized tubs, marshmallow bedding, and high end amenities create a comfortable stay. The luxury of the lobby and guestrooms meanders throughout the entire mansion and into the activities guests enjoy with each stay. The 700 Drayton Restaurant is a dining experience filled with modern and artful cuisine. Casimir’s Lounge is the place for late night fun. Sip your favorite cocktail to the live sounds of country blues and swinging jazz. Unwind and renew your mind and body at Poseidon Spa with an aromatherapy massage, or head to the 700 Kitchen Cooking School where you’ll stir up and devour delectable creations. The Mansion on Forsyth Park is the place to experience the "Days of Dixie" where you'll take a Civil War historical tour of Savannah. The Mansion on Forsyth Park offers 13,000 square feet of event space including the Viennese Ballroom with 15 foot ceilings, crystal chandeliers, antique mirrors, and black candelabras. Mountain Vista Rentals offers superior accommodation options and terrific nearby activities for your next Georgia getaway! Here you'll find villas, chalets, and vacation homes, ranging from one to six bedrooms and featuring great amenities like fireplaces, newly renovated full kitchens, privates porches and decks, outdoor grills, flat-screen televisions and more. Many of the properties have a partnership with Big Canoe Resort, allowing you to enjoy additional amenities including four swimming pools, six restaurants, a 27-hole golf course, a fitness center, and 16 clay and hard tennis courts! Explore the area on 10 nearby hiking trails. Make sure to try the Champion Creek Trail and see one of the waterfalls in the area. Mountain Vista Rentals is also a great place to hold your group events. Weddings, meetings/corporate events, and family reunions are also welcomed by the staff as they make sure everything goes exactly as planned. Sharp Mountain is the main mountain peak in Jasper, and is a peak in the Appalachian Mountains. Jasper is nicknamed "The First Mountain City" because of it's location at the base of the Appalachian Mountains. Located on the shores of sparkling Lake Chatuge, Boundary Waters Resort & Marina is your North Georgia escape. Boundary Waters Resort & Marina rests in the southern end of Lake Chatuge in the Enchanted Valley where the Nantahala and Chattahoochee National Forests create an adventurer's wonderland. During your stay, hike the Appalachian Trail, whitewater raft, or grab your fishing pole for some fishing. Bring your boat or rent from the marina and discover the beauty of Lake Chatuge. Not only is the location of Boundary Waters Resort & Marina ideal for the outdoor enthusiast, it is also a great place to sit back and relax. Boundary Waters Resort’s cottages are ready for your stay with full kitchens, living spaces, wireless internet, and more. You’ll receive complimentary access to canoes and kayaks as well as boat docking. And, when you are ready to enjoy the tranquility of the lake, lounge from the deck and take in the private cove and surrounding forest. As of 2012, the population of Hiawassee, Georgia is 873. Boundary Waters Resort & Marina wants you to get the most out of your Lake Chatuge visit, therefore, they have both pontoon and ski boat rentals available for guests. Lining the shores of the Atlantic Ocean in the Golden Isles of Georgia is Ocean Lodge, your luxury boutique hotel. In old world Italian style, Ocean Lodge brings you luxurious suites adorned in rich and elegant colors and patterns where full kitchens, stunning baths, and private verandahs will convince you to kick back at relax in your suite from the moment you step foot inside. Enjoy a massage from your breezy verandah or take in the ocean view from the rooftop terrace and lounge where you can see to the edge of the world. 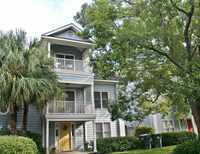 Ocean Lodge is centrally located with St. Simons Island and its many adventures only moments away. Shop the boutiques along the quaint streets of St. Simons, and dine in the elegance of exquisite restaurants. Head to the historic lighthouse; it’s always a treasure to discover. Snag a bike and head down the beach, boat out into the ocean blue, or head to the links for an afternoon with friends. Relaxation and beauty await at Ocean Lodge. Let Ocean Lodge make all your wedding dreams come true. From an ocean side ceremony to a reception from the terrace, the opportunities for an enchanting experience are endless. And, Ocean Lodge wants to help make it the perfect day with their full wedding planning and packages. The Rooftop at Ocean Lodge is a St. Simons Island Restaurant where the rooftop outdoor dining offers the gorgeous views of the Atlantic. At The Rooftop, enjoy coastal cuisine with a touch of southern flavor. Explore the adventure that awaits in the northern mountains of Georgia during your stay at the Holiday Inn Express Blairsville. Between the beauty of the surrounding landscape to the hospitality around every corner, Blairsville is the perfect vacation destination to enjoy the great outdoors, and Holiday Inn Express Blairsville is your comfortable stay close to it all. During your stay, relax and let go with a swim in the indoor pool, and enjoy modern conveniences such as wireless internet, cable television, and a fitness center. A stay at Holiday Inn Express Blairsville puts Georgia’s northern mountainous playground at your fingertips. Spend a day hiking or canoeing through Chattahoochee National Forest. The rolling greens of Butternut Creek Golf are right out the door and provide gorgeous views. Head to Brasstown Bald, Georgia’s highest point, to test your limits. The opportunity for fun and adventure awaits at Holiday Inn Express Blairsville. Brasstown Bald, the highest point in Georgia, has an elevation of 4,783 feet. At the foothills of the Blue Ridge Mountains, surrounded by 72 acres of lush meadows and tranquil woods is Dahlonega Spa Resort. Dahlonega Spa Resort is a relaxation haven near the historic gold mining town of Dahlonega. Twenty-three guestrooms await your stay where you’ll find private baths, walk-in showers, and views of the gardens and mountains. If you prefer the seclusion of a cabin, surround yourself within the wooded peacefulness. Let the relaxation begin as the sun rises over the mountains while you rock from the wrap around porch on the Main House. Head to the yoga hall and therapy rooms where the peace of the morning sun rise will be extended throughout your body and mind. The grounds are blooming with adventure with the walking labyrinth and nature trail awaiting your discovery, and the outdoor Jacuzzi is just the spot to enjoy a cool evening or star gazing. Dahlonega Spa Resort is the ideal place to explore the natural wonders of Georgia. Hike the many trials including the 2,100 mile Appalachian Trail. Check out more than 30 waterfalls. Grab a kayak or book a white water rafting experience on one of the four area rivers: Chestatee River, Chattooga River, Nantahala River, and Ocoee River. The spa at Dahlonega Spa Resort is the perfect place to unwind. Enjoy a number of different treatments including massages, scrubs, wraps, and skin care. Originally built in 1886 as a winter retreat for America’s elite, the Jekyll Island Club Hotel now shares its rich history and elegance with any guest who wishes to experience the beauty of Georgia’s coast. From the Georgia coastline, beautifully groomed lawns lead up to the famous front turret. From there, elegance and detail uniquely decorate each guestroom and suite. Jekyll Island Club Hotel is filled with adventure and relaxation. Head out into the sunshine for some croquet on the vibrant green lawns, or grab your clubs for a round of golf at one of the three, 18-hole golf courses and putting green. Sit back on a carriage ride through the historic district or gallop across the beach on horseback. Neighboring Jekyll Island are treasures to discover. Take a day trip to Cumberland Island where wild horses and preserved beaches will enlighten your stay. Jekyll Island Club Hotel used to welcome guests such as the Morgan's, Rockefeller's, Pulitzer's, and Vanderbilt's. Jekyll Island Club Hotel has four delicious dining choices: The Grand Dining Room, Courtyard at Crane, Cafe Solterra, and the Pool Bar and Grill.